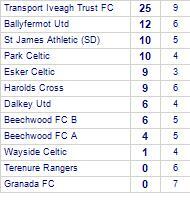 St James Athletic (SD) share points with Ballyfermot Utd. 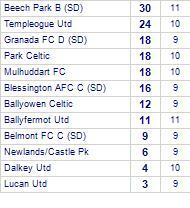 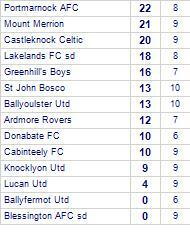 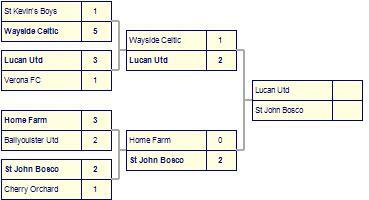 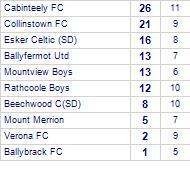 Ballyfermot Utd take all points from Beechwood C(SD). 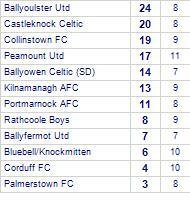 Beechwood C(SD) have yet to win away from home.